In December 2016, Francois Jonker, the academic head of the Cape Town Creative Academy and an Associate at the Creative Leadership Consultancy and I decided to go on a learning adventure to Japan. We were interested in what sat at the edges of Leadership Development, what could spark a new body of work and learning in a space notoriously crowded and saturated. We set as our learning intention the discovery of experiences which could help organisations build a new body of practices which could help create more playful, purposeful and engaged teams and leaders. What emerged was an experience which has been both unforgettable and an important seeding process for The Creative Leadership Consultancy's latest body of work, The Smell of Bravery. We discovered a 3 day immersive experience in Japanese Incense making, the first of its kind to be run in Japan. We worked with 3 Incense masters and a buddhist monk in Tokyo to understand and uncover the history of smell through the vehicle of Incense making. The Japanese Samurai were the first to mix ingredients which could evoke memory, bravery and identity when in battle. There are stories of Samurai wearing incense streaming from under their helmets as they went into battle. I had the chance to talk with Drue Katoka at the Young Global Leaders' gathering in Buenos Aires, Argentina in April, an artist from a long line of Samurai, about the relationship between Smell, Bravery and what she called their constant vigilance in the face of Death at every moment of their being. It provided further fuel for what would birth the Smell of Bravery workshop we developed. What excited me about exploring work in Smell was its incredible power to evoke memory and reconstruct identity. The first work I had ever done in a workshop space was around 1995 in maximum security prisons in Johannesburg. I used smell as a way of helping long-term and ex-deathrow prisoners from three places of maximum incarceration to re-imagine themselves and their identity but using a synesthetic process around sensemaking e.g. what is the taste of the shape, what is the colour of the sound, what is the texture of the smell. It was a powerful process, and one which made me understand the tremendous gift of our senses to galvanise change. This coupled with work I had done on my return with the Sheet Street management team at Mr Price on Bravery as a leadership practice helped me understand the distinct and important difference between Courage and Bravery. Bravery builds Courage. One needs to understand the drivers of one's own Bravery before one can build Courage as a mindset. This is such an unbelievably important practice to understand and have as a leader. In a world where we are challenged daily to do the right thing, to show up in a way which demonstrates our own ethical and value driven leadership, Bravery is critical. Bravery is a tool in your armoury that can help you be more confident and creative, to make smarter decisions and to be a better leader. Bravery is linked to integrity, influence and trust. As you gain a deeper connection with your own bravery so you are better able to express yourself and your purpose in life without the fear, judgement and cynicism that hold us back from following through. The most serendipitous part of this entire adventure was that, on my return armed with a Japanese incense-making kit, I ran a Bravery through Incense workshop for one of my best friends, Francois Irvine as a birthday present. I noticed how the process helped him evoke memories of his beloved grandmother and how it genuinely sparked his Bravery. He spent many weeks after that experimenting with ingredients from our region and making some of the most incredible memory-invoking incense. I have never run open workshops. My work is with corporate groups. But this truly felt like an opportunity to make accessible to the wider public something so powerful and meaningful. As part of my own building of Bravery, I asked him whether he would design and run one with me. The Smell of Bravery was birthed. Part of our interest in developing this body of work is to acknowledge and understand the multiple ways in which we learn and behave. Neurons fire in your head, your heart, your backbone, your hands and your gut. My work in Lego Serious Play has been an extraordinary site for understanding the hand intelligence we have - how our hands instinctively know before our heads when it comes to unconsciously deciding on which bricks to use. Similarly, there are processes that unlock the other intelligences which we have been exploring with this workshop. We have since the inception of the Smell of Bravery workshop collaborated with Jessica of Lady Bonin's tea to introduce heart intelligence, a tea ceremony using Genmaicha tea, the tea allegedly drunk by the Samurai before going into battle. 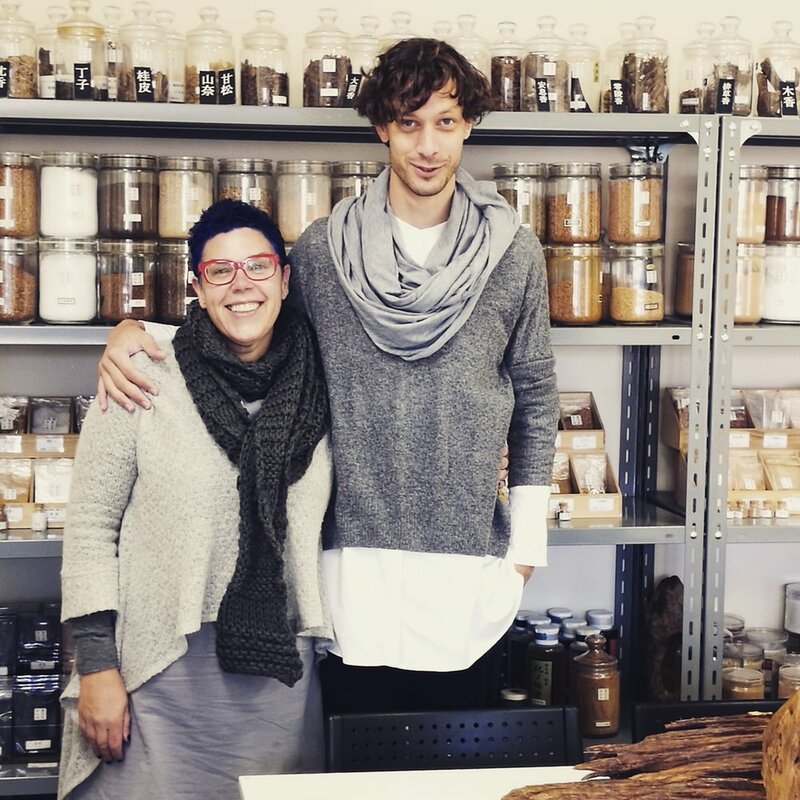 Our latest collaboration for a process on 14th October in Cape Town is with Lauren Marsh of Aceso Fire Tonic around unlocking gut intelligence. For Bravery, you need a healthy gut and what Aceso fire tonic does is to build an actual gut army in your stomach. Your gut produces 95% of your serotonin and upwards of 50% of your dopamine. It provides the fire for sparking action. There has been so much discussion and debate around how leadership interventions don't create the value they promise to generate. My sense, excuse the pun, is that what we are needing is a whole new way of working with ourselves, ones that use our full body for learning. This is one of those leadership interventions that unlocks that value, allows delegates to work with reframing their thinking and re-imagining their way of being in the world. Elaine Rumboll is the Managing Director of the Creative Leadership Consultancy, a professor of Play at the Western Orthodox university and a seasoned Creative Leadership Development practitioner. This is a 5 minute talk I gave on 16th July 2015 at the Future by Design event held at the University of Cape Town Graduate School of Business in Cape Town. I have no experience or expertise of the future but what I do have is Foresight. To quote Bobby Godsell, “ We cannot predict the future but we can hear its footsteps approaching.” And to my mind, the footsteps approaching are in big, ugly, black boots. We are experiencing a crisis of Leadership in South Africa. In a study quoted at the Business of Design in May, for a research project undertaken in sub saharan Africa, 57% of employees are not engaged and 33% are actively disengaged. That means that we have only an engagement rate of 10% of employees at work. According to an article in the Mail & Guardian this month, "South Africa is stressed out and suicidal". We have 21 South Africans committing suicide every day with 20x more South Africans attempting but failing to take their lives. We have the 7th highest rate of suicide in the world and in a recent study conducted by Bloomberg we are the second most stressed-out nation in the world, following Nigeria. This clearly shows an epidemic of Overseriousness. The symptoms of Overseriousness are disengagement, cynicism, fear of failure, lowered quality of output (mediocre work) and an increased focus on overbureaucratisation, more building of systems and processes to attempt to control the environment. We live in a world where Volatility is no longer symptomatic, but systemic. With markets growing and changing exponentially and levels of complexity rising, the environments we operate in are now inherently environments of uncertainty; part of what is now our new DNA. And for that we need new systems of being and leading. The beauty of design thinking is that it is a response to a world of uncertainty. It encourages us to experiment and play, to iterate and prototype not to over-invest in one solution. Play gets us out of Overseriouness immediately. Imagine doing a 2 min exercise like the one we just played that immediately increases your confidence, your creativity, your sense of mastery and purpose, your attention and your levels of engagement. This is what Play does. It is an urgent and necessary requirement to build into our new ways of leading today if we want to break our current crisis in leadership and our immanent epidemic of Overseriousness. I gave a keynote on the Power of Play at CounterPlay15 in Denmark a few days ago. At the end of the talk, I asked the 250 participants whether they would prefer to have a Q&A or a game instead. The unanimous agreement was, "A game." This was the result....a tangible enactment of the Power of Play to connect and energise, and a reminder that it is in Play that we develop incredible insight and agility. How do you create a global manifesto on information sharing and freedom of expression with participants from 14 different countries, when each has with their own culturally valid and particular way of doing things and seeing things? Here is a link to the article I wrote around designing the process and the results which followed. We talk so much about teams, rewards, awards, competition in thejargon of business but the direct concept of Play even in its structured form is considered anathema to the 'serious business' of business. Consider a game like football, where all the players are expected to be in top form, but yet the outcome of each game is unpredictable. It wouldn't be exciting if people couldn't be trusted to improvise and take the risks necessary to achieve extraordinary outcomes.